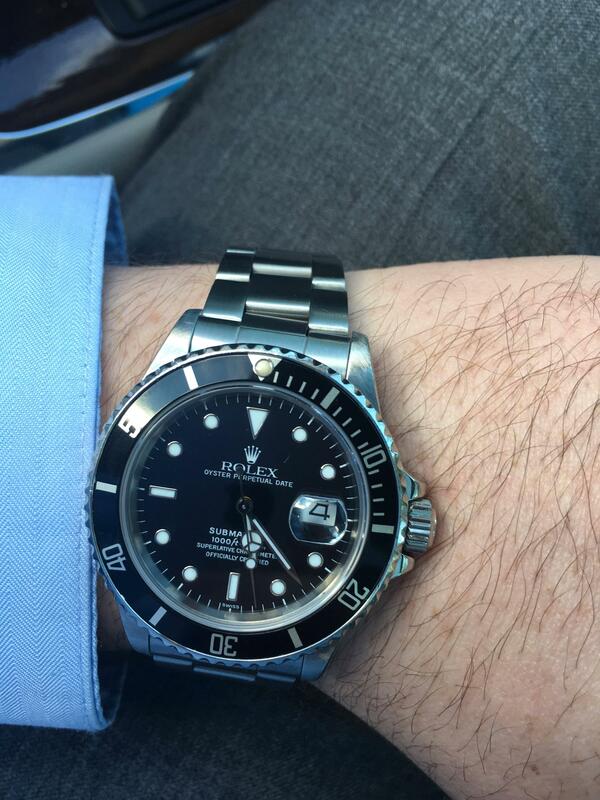 I traded my Rolex Explorer II 16570 Polar(plus a $1,000)for this Rolex Submariner 168000. I was incredibly excited about the impeccable minty condition of this watch. When I got home I noticed it read Swiss above the 6, without the T-<25 that I expected. Its dial and hands are service replacements, with SuperLuminova instead of the original Tritium. The seller told me it was all original prior to the purchase, but has since admitted that the watch has replacement parts. The movement is the correct movement for the model, checked by a watch jeweler, so at least it's a ligit Rolex. However, I can't help but to think that if I had known about the replacement parts it may have influenced my decision, or at the least my offer. My 2001 Explorer had some wear, but was all original. Should I be disappointed that this watch has Rolex replacement parts? Will it be far more difficult to sell down the road? Should I just come to terms that it isn't all original and enjoy the watch? Previous Topic: Does this look, good at all.